Colombo, March 29: The three-day Bangladeshi film festival organized by the Bangladesh High Commission got off to a stunning start here on Friday with “Debi”, a mystery-thriller by Anam Biswas which had taken Bangladesh by storm last year. A large audience of Sri Lankan film personalities, actors and directors besides film buffs, sat transfixed as the mysterious horror story of the paranormal lady Ranu unfolded before them. A spontaneous applause followed the conclusion of the screening. As the master of ceremonies and film aficionado Dinusha Gunatilake put it, an outstanding feature of the Bangladeshi film industry these days is the artistry that runs through them no matter what the subject of the film is. “Debi” is both a mystery and a horror film but the juxtaposition of the mysterious, the horrific and the normal is seamless. This made the noted Sri Lankan actress and filmmaker Duleeka Marapana say that Bangladeshi films have an “innate sense of rhythm” which makes viewing a pleasing experience. Adapted from Humayun Ahmed’s novel of the same title from his famous Misir Ali series, “Debi” was released last year to full houses. Director Anan Biswas had received a government grant for a feature-length film on the first book of Humayun Ahmad’s psychological thriller series. For Biswas it was a leap into the dark as till then Bangladeshi filmmakers had had no experience in this genre and no major successes to learn from. But teaming with Jaya Ahsan, the acclaimed actress who produced the film, Biswas made it. Having learned the tricks of the trade Anam and Jaya are set to go places. Jaya as Ranu, the paranormal woman, and Chanchal Chowdhury as Misir Ali, the suave, meticulous and persistent clinical psychiatrist, lived their role, as did Nilu, played by Sabnam Faria, and Nilu’s deceptive lover played by Iresh Zaker. As Bangladesh’s artistic High Commissioner in Sri Lanka Riaz Hamidullah said, the second edition of the Bangladesh Film Festival has a good mix of genres. Out of the six films to be shown, four are commercial, one is a documentary and th other is a short film. There will also be an interactive session with some Bangladeshi directors who are in town for the festival. “Sri Lankan painters will also join in the unique interaction across the artistic landscape,” Hamidullah said. 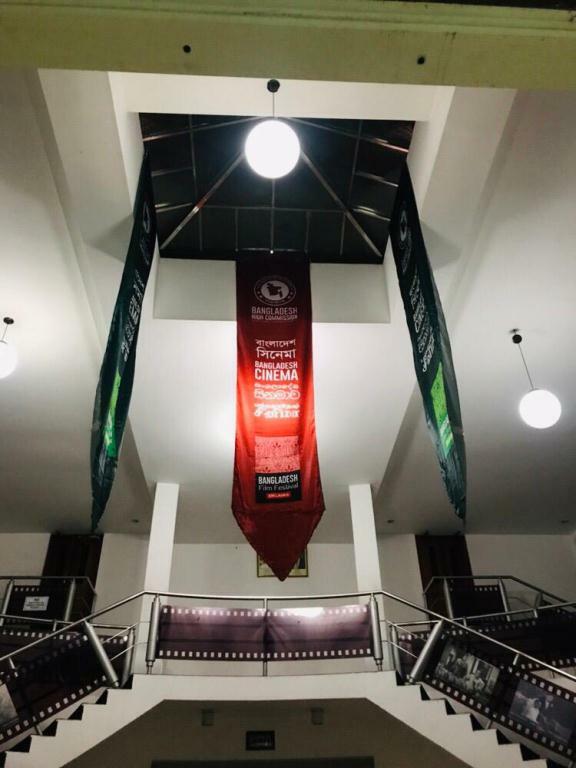 The other films to be screened are “Swapnajaal” by Giasuddin Selim; “Ghraan” by Kamrul Ahsan Lelin; “Shimanthrorekha” by Tanvir Mokmmel; “Matir Porjar Desh” by Bijon Imriaz and “Komola Rocket” by Noor Imran Mithu. “Swapnajaal” is about the struggle of two young lovers, Opu and Shuvra, against a powerful and vile businessman who ousts Shuvra and her family from their home. The story is about Opu’s fight for justice. “Ghraan” is about the complex relationship between a father and a son and how the son eventually gets to understand the father. “Shimanthrorekha” is on the trauma of the partition of Bengal in 1947. The agonizing details were shot in the historic scenes of action in Bangladesh and West Bengal. “Matir Porjar Desh” is about a young boy in rural Bangladesh who is traumatized when his girl playmate is given away in marriage. He is also subjected to other harsh realities of the world when his hopes of making friends collide with his mother’s past. “Komola Rocket” is about people from different strata of society going by a steamer whose secrets and desires come out in the open after their vessel gets stuck in the middle of the journey.